Americans love a quick fix and I'm one of them. I never go anywhere without Super Glue. Break a nail? I zap it with Super Glue. The wheel falls off my office chair? Super Glue does the trick. You may decide to hire a career coach if you're stuck in your job search or feel that your career needs to head in a new direction. But several months after meeting with your coach, you're not one step closer to a job. Now, you're out hundreds of dollars in coaching fees and are ready to spit nails because you're so frustrated with the coach's advice. First, you might not have done your homework or might have chosen a career coach with little experience or past success. Or, perhaps you saw the coach as a personal assistant who would find a job for you and all you would be required to do is show up and sign the employment papers. Missteps like that can lead to frustration for the career coach and the client. Jane Trnka, career coach for the master's of business administration programs at Rollins College in Winter Park, Fla., says many people don't have the right idea about what a career coach can and cannot do. "Overall, a career coach is somebody who guides you and provides tools and resources to help you with your career, whether you're just starting out or are currently employed," she says. "What they don't do is let you remove all accountability find a job for you." Career coaches also often are the folks to take a bashing if things don't go well or are the "best thing since sliced bread" when clients are happy, she says. With a little Dr. Phil thrown in, they encourage, commiserate and counsel clients who are going through a myriad of emotions as they search for a job or navigate career changes, she says. "You have to be pretty thick skinned to be a career coach," she says. "You can get blamed by someone who says, 'You didn't do anything for me,' and you have to turn that around and say, 'Well, you didn't do anything for yourself.' "
That brings up a key point: You're going to responsible for much of the heavy lifting. That means career coaches will give you homework that includes tapping into your network and developing new contacts, exploring your strengths and weaknesses and working on a resume. "Researching a job is a job in itself," Trnka says. "The coach's job is keeping you on the right path and making sure you don't take something willy-nilly. They understand the urgency of finding a job, but they want to make sure you're taking something that fits." A career coach may ask to meet with you for several days in a row in the beginning, and then twice a week as your task list grows. The coach also may continue to counsel you even after you get a job to make sure you keep up your network, update your resume and help out anyone else who needs it, Trnka says. 1. Ask for recommendations. 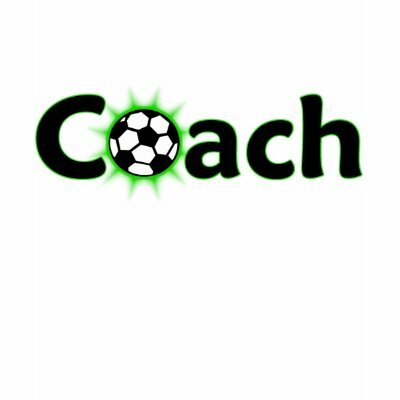 Choose a career coach after talking to others who have successfully used the coach. 2. Interview the coach. Before meeting for the first time, check out the coach's LinkedIn profile but also be prepared to ask the coach to talk about his or her qualifications and background in person, Trnka says. 3. Request specifics. "Ask the coach what are the tools and resources that will be used in your career strategy plan," Trnka says. "Ask for the coach's perspective on career searches." 4. Know the expectations. Many clients face an unpleasant surprise when they learn they may spend hours working on just one assignment from a career coach. Ask about the work you will do and about how long it will take, so you have a clear idea of the time and energy commitment. 5. Get a reality check. Even though the economy is improving and employers are beginning to hire, Trnka says that companies are being very picky about new employees, looking for someone who closely aligns with their requirements. "Ask the coach about what opportunities are available for you based on the current economy and what obstacles you may encounter," she says. Finally, don't be afraid to state in any contract that it can be terminated if you find the coach isn't a good fit and expectations aren't being met, Trnka says. "You should be able to break it off if it isn't a mutual value."